The College of Medical Laboratory Technologists of Ontario (CMLTO) is the regulatory body for medical laboratory technologists (MLTs) in Ontario.The CMLTO exists to ensure the public receives quality laboratory services from competent and ethical professionals. Ontario’s approximately 7,000 MLTs are highly trained professionals on the health care team. Every day in Ontario, MLTs perform nearly half a million lab tests on blood, body fluids and tissues. MLTs may practise in specialized areas like transfusion science (e.g., performing tests associated with tissue and organ transplant), genetics (e.g., studying chromosomes, DNA and RNA from cells of body fluids and tissues to diagnose genetic diseases) and cytology (e.g., studying and identifying normal and cancerous cells). The results from these tests help other medical practitioners diagnose, treat and monitor many medical conditions. 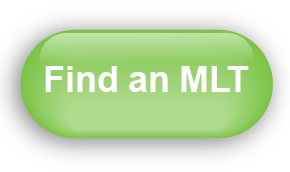 The CMLTO ensures you can have confidence in MLTs doing your lab tests. Qualified individuals must be registered with the CMLTO to work as MLTs in Ontario. As regulated health professionals, MLTs are held accountable for their conduct and practice. MLTs are one of 29 health professions granted self-regulation under the Regulated Health Professions Act, 1991. Doctors, nurses, pharmacists, and other professionals are also regulated under this act. The CMLTO sets the requirements for entry to practice to the profession and the standards of practice within the profession. The CMLTO also investigates complaints regarding the conduct of medical laboratory technologists in Ontario. Read the CMLTO Consolidated Bylaws (PDF).